Focus on the local community. Where you are located is central to who you are. If you have multiple locations, great. You have many more opportunities to network. Depending on the type of business you are, it may be worth putting up flyers in community centers such as the public library, where this is often allowed. You can also disseminate your business cards, or talk to other service providers who link well with the type of services you are providing. They could refer their patients/clients/customers to you when their services have reached the limit of their scope. Develop SEO presence. 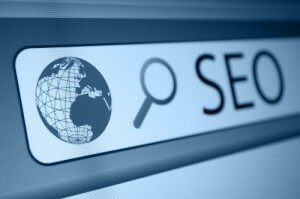 SEO, standing for Search Engine Optimization, is vitally important in every marketing strategy. You want people to find your website when they type in keywords pertaining to your type of business. If SEO is not your forte or specialty, consider contracting with us, as this is our foremost area of expertise. We’ll make it worth your while! Personalize. Make it fun! Everyone wants to know their service provider a little better. You can do little things, like add bios of your staff on the website, pictures of your staff or practice, or even insert a GoogleMaps locater to help people find you easier. Adding a blog section to your website is another way to attract people to your business. Looking for even more ideas to get more clients? Call Farotech today to get a free consultation on how to attract the clients to you!